Is a mass start road event, it is a race in which riders of similar ability, race together, they all start at the same time and cover the same distance. 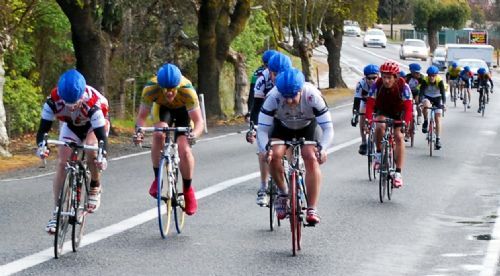 Graded Scratch races can be over various distances , each grade can be different if it’s a multiply lap course, with the winner being the first rider to cross the finish line at the end of the distance. As most races have 5 or 6 grades racing at the same time you are not allowed to use another grade to help you if your dropped or passed by another grade.